Big boon: The new U.S. budget includes the largest increase to the National Institutes of Health in nearly a decade. Autism researchers are no longer fretting over a shrinking pool of funds for the U.S. National Institutes of Health (NIH). Instead, they are awaiting news of which projects will benefit from a $3 billion surprise surplus. So far, about $565 million has been allocated to two big projects related to autism. In March 2017, President Trump’s administration sought to slash the NIH budget by $5.8 billion. But the measure approved this March includes an 8.8 percent boost over the agency’s 2017 budget — the largest increase in nearly a decade. It also reverses some proposed policies that had troubled scientists. The 2017 proposal imposed a cap on the proportion of grant money a university can use to cover ‘indirect costs,’ such as utility fees and buying and maintaining equipment. The new measure prohibits caps to these ‘facilities and administrative expenses.’ It also delays enforcement of a controversial new definition of clinical trials until the NIH can solicit feedback from researchers. As expected, autism researchers welcomed the budget increase. “The costs of conducting research expand every year, so it is encouraging to have increased funding for research,” says Connie Kasari, professor of human development and psychology at the University of California, Los Angeles. None of these changes are permanent, however, and there are already signs that they won’t continue past this year. 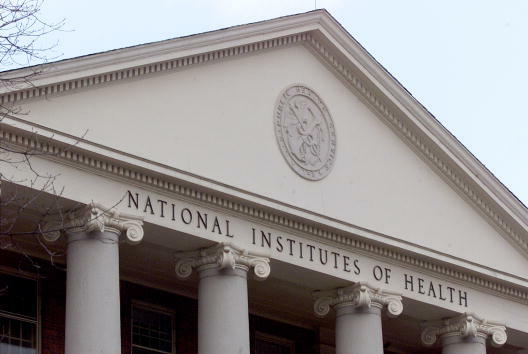 The new measure gives nearly every institute at the NIH a budget increase of at least 5 percent. For instance, the National Institute of Mental Health (NIMH), the primary NIH unit that funds autism research, got an influx of $110 million for 2018, a 6.9 percent increase over its 2017 budget. Another key source of funds for autism, the National Institute of Child Health and Human Development, received a budget hike of nearly $72 million, a 5.2 percent rise over last year. Some of this surplus budget is already slated for projects relevant to autism. For example, $140 million went to the Brain Research through Advancing Innovative Neurotechnologies (BRAIN) Initiative, which aims to develop technologies for studying the brain; this influx boosts the initiative’s total budget to $400 million. Another $165 million is earmarked for Environmental influences on Child Health Outcomes, a study that focuses on environmental exposures in childhood. “I’m glad to see a financial commitment from the federal government dedicated to health science,” says Raphael Bernier, associate professor of psychiatry and behavioral sciences at the University of Washington in Seattle. The NIMH is still deciding exactly how to spend its windfall, according to an agency spokesperson. But the money must be allocated by 30 September, the end of the fiscal year, notes Anna Quider, president of the Science Coalition, a Washington, D.C.-based nonprofit that lobbies for federal research funds. Quider says funding for research also faces potential threats down the road. On 12 February, President Trump released his budget proposal for 2019, which calls for an NIH budget that’s roughly equal to that of 2017. What’s more, the 2018 boost was in part the result of a deal the U.S. Congress struck in February to temporarily lift mandatory caps on spending. As part of that deal, Congress agreed to a maximum budget for 2019 that leaves little room for further upswings in the NIH’s budget. “I wouldn’t expect to see big increases,” Quider says. She also cautions that the current block on caps to indirect costs is not a long-term fix. The ban is written only into the 2018 bill, and does not automatically apply to future funding bills. If caps on indirect costs are introduced, nonprofit organizations may have to step in and fill the gap, says Thomas Frazier, chief science officer of the New York-based advocacy organization Autism Speaks. And that, he says, will leave less money for supporting novel science.